suburbia soup: Dear Ms. Rae, Thank You. 31 Dear Ms. Rae, Thank You. I would like to express my sincerest gratitude and utmost appreciation for your Washi Dress pattern. I am beside myself due to the simplicity and beauty of this design. How were you able to design such a dress to tailor fit my body? How were you able to obtain my measurements? How did you know what design would work best for me? Honestly, you could have just made the dress to fit ALL women, but instead, you chose me as the foundation for your creation. I am at a loss for words. Spec-ta-cu-lar! These dresses look awesome, and indeed, they fit you so well. More of these, in equally gorgeous fabrics! Thanks, An! I just finished Washi #3. Loooove!!! Oooo, a hat! I'd love to see it!!! That fabric is fabulous. After so many washes, it feels so soft and comfy. I'm surprised my girls haven't said anything about me wearing the same dress over and over again. And by the way, the washi pattern I received had exactly MY measurements. She is a wizard, Ms. Rae! We are so lucky, bespoke tailoring is usually unaffordable! Thank you, Suz! If you haven't yet, you gotta make one for yourself! I won't lie, it WAS difficult, but between the 24 hour surveillence team, the satellites, and the infrared cameras, we were able to ascertain your measurements to the nearest nanometer. We almost named your size "Venus" on the size chart, but then we figured it might be confusing to others who wanted to use the pattern. So awesome!!! Love your fabric choices. Really is the perfect pattern, huh!? STOP IT. with the amazing dresses, i mean. not the robot dance moves. i'd like to see more of those, actually. You like my moves, ay? I've been told I got moves like Jagger-HA! I feel the same way about the washi!!! Your versions look fantastic. Totally fantastic. Gorgeousness, Venus! 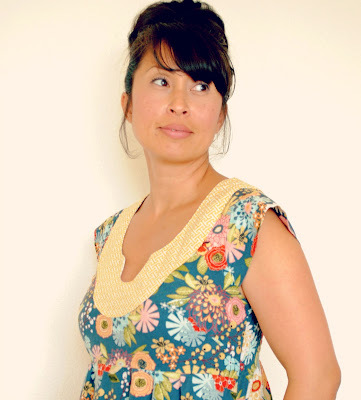 You are rocking the Washi all over the place and it's so lovely to see your face :-) Fabulous fabrics! Aw, thank you Sanae! I wanna see a Washi on you! Ooooh your versions are fantastic! Beautiful! I just bought Washi dress pattern yesterday! Woo, so excited to make one! Anyway, did you make muslin? Yes, I did. I usually do just to make sure everything fits in the right places. Fortunately for me, I didn't have to make any changes. It's perfect! Oooo... I wanna see your wash! you are too funny Venus! I have not seen a bad washi dress yet. I'm always amazed at how well it fits people. I have the pattern and need to just make it already!! Yours is ADORABLE!!! 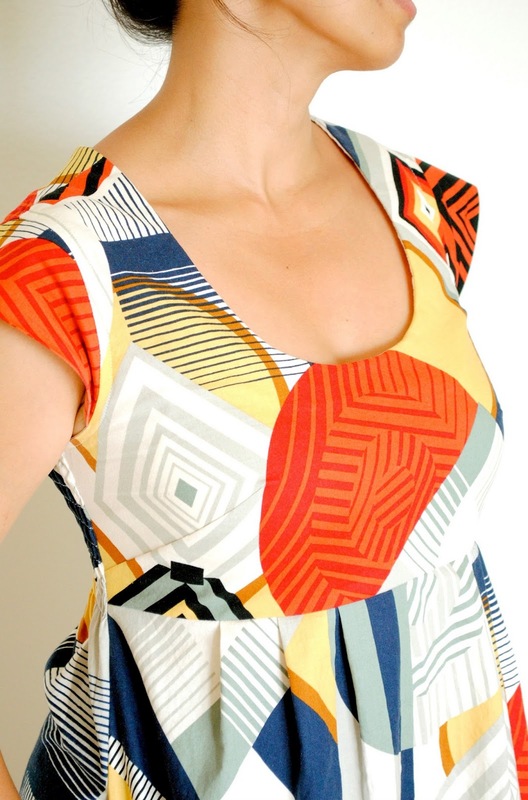 Can you please share the name and manufacturer of the 2nd dress with the geo print ? I love this print It is awesome !!! thx, Anne.